Action Lock is a well established and professional locksmith in Carine, servicing the area with 25 years of expert residential, commercial, and automotive locksmith experience. Action Lock Service is based in Balcatta and provides a complete range of professional locksmith services to customers in Carine, the northern suburbs and right across the Perth metropolitan area. Whether you’re in need of commercial, residential or automotive locksmith services, including 24/7 locksmith services, we have you covered with four mobile workshops and a highly skilled team who’ll arrive at your location promptly and resolve whatever issues you may be experiencing swiftly. Our reliable services are value-for-money and competitively priced, we’re fully insured and as members of the Master Locksmiths Association of Australasia (MLAA), you can confidently rely upon our professional locksmiths in Carine for all your home, business and automotive security needs. In addition to these services, we can help you to gain access to your office or commercial premises if you’re locked out, we offer real estate repairs for rental properties and we’re always happy to advise you on your business security requirements. If you have need of a reliable residential locksmith in Carine to assist you with your home security needs, don’t hesitate to call Perth’s leading residential locksmith team. We take home security very seriously and provide a complete service that includes the supply and installation of all lock varieties, including screen door locks, window locks, deadbolts and deadlocks. The locksmiths at Action Lock Service can advise you on electronic access control systems if you’d like to take your home security to the next level and we can also assist you with a wide range of residential safes. As Perth’s home security specialists, we look forward to inspecting your home or rental property to advise you on how best to keep your property safe and secure. Action Lock Service are mobile locksmiths serving Carine and the surrounding suburbs and can assist you with professional locksmith services for all makes and models, including European cars. If you’ve been locked out, lost or damaged your remote or transponder key or need the locks on your car rekeyed, don’t hesitate to take advantage of the 24/7 emergency locksmith service we provide. 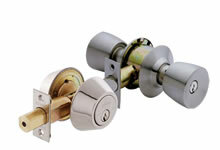 We’ll arrive at your location promptly and resolve any key or lock issues quickly. For a full range of home, business and vehicle locksmith services in Carine and right across Perth, call our expert locksmiths on 08 9240 7200.